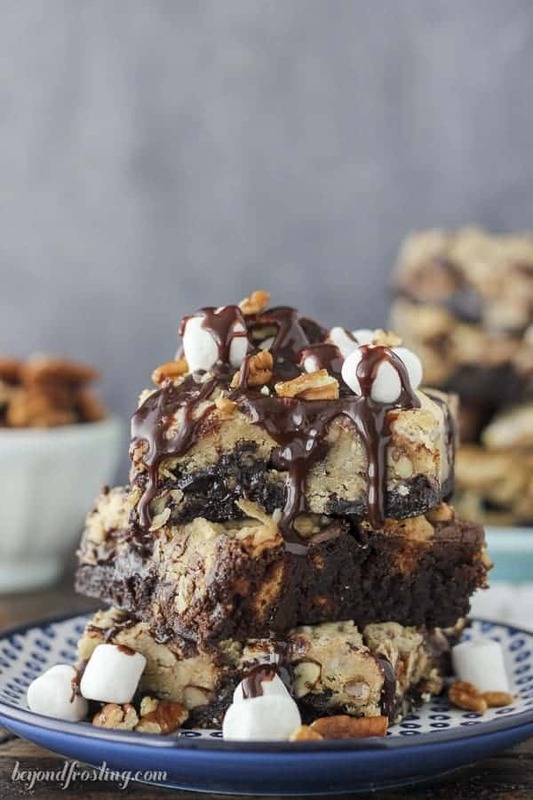 Ooey Gooey Mississippi Mud Brookies: These layered bars are filled with chocolate chips, pecan and mini marshmallows. 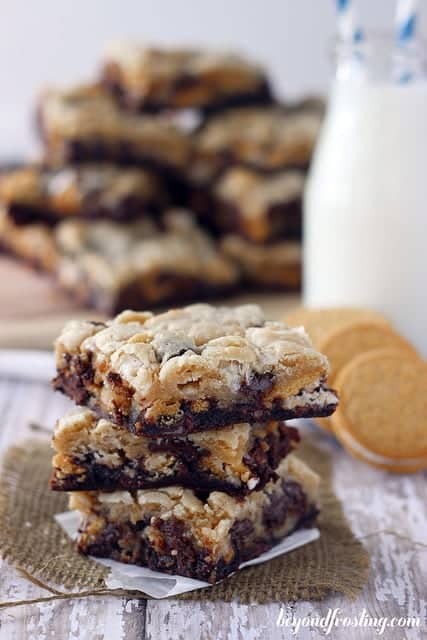 You have to decide which layer you like better, the gooey chocolate brownie or the chewy chocolate chip cookie. I know it’s been a week since my last post and I am very sorry about that. Right now life is sort of happening and I’ve been on the move all month. I started in Myrtle Beach, then I found myself in Lake Tahoe and finally in Las Vegas this past weekend. Oh and my dad made a 24 hour appearance all the way from Vermont during a work trip to Southern California. I can’t tell you which trip was my favorite because each of these trips were very special to me. I keep poking fun at myself because all we did in Las Vegas was eat (a freaking lot! ), sleep- as in afternoon naps and then dinner and more sleep. Lots of eating, lots of sleeping. I did a little bit of afternoon gambling and came out on top, and we did go to a concert one night. It was very relaxing, as far as Las Vegas goes! While I love love love these adventures, it really sets me back with work at my full-time job and I crave a few extra hours of sleep. Every time I tell myself I need to plan ahead and get stuff ready for you guys, but sometimes I fail. I hope these Gooey Mississippi Mud Brookies will make up for my lack of presence here over the past week. Let’s break these down. The mini marshmallows are quite magical. Some of them disappear into baked oblivion. They melt down into the layers below. The ones on top are ever so slightly toasted. 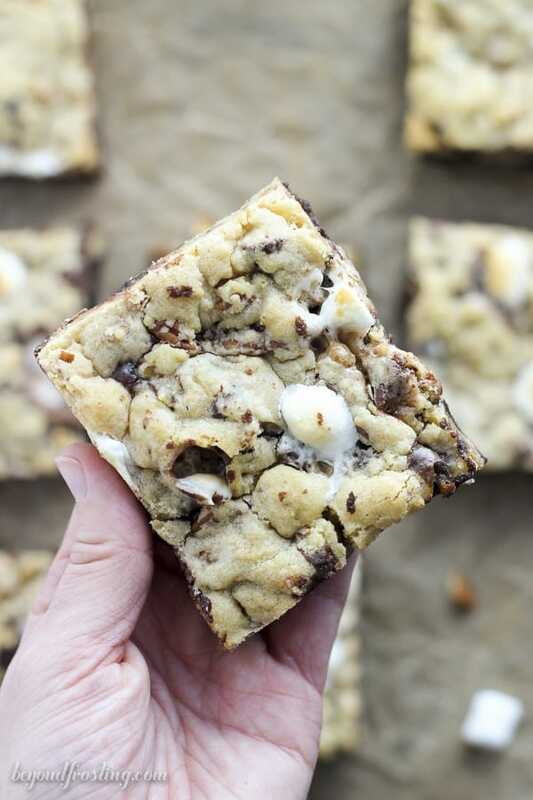 The ones that are layered in between offer that extra ooey gooey effect that you want from a melted marshmallow. It’s pretty much a win-win here. 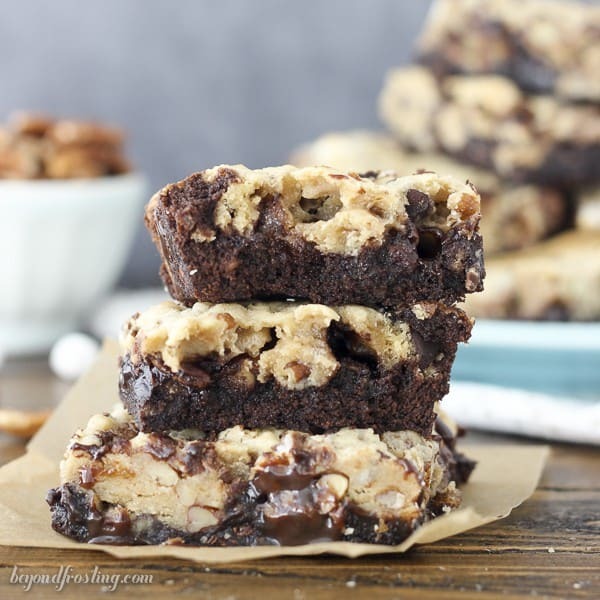 I prefer to use a boxed brownie mix, but you can certainly use your own homemade mix for a 9-inch by 13-inch pan. The chocolate chip cookies are from scratch, but if you really prefer something quick, you can use store-bought dough. 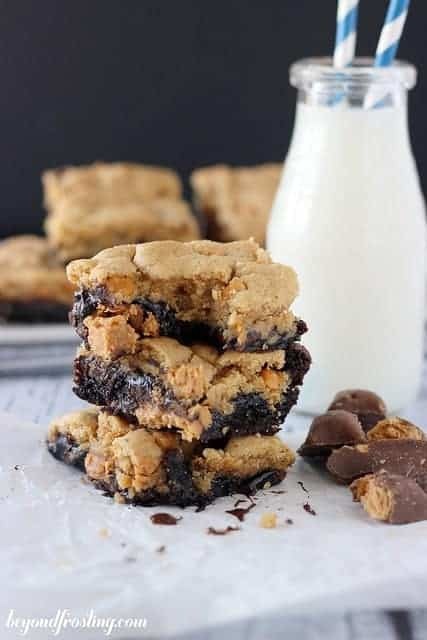 The easiest way to spread the cookie dough is to flatten it between your hands and press it gently into the brownie mix. Do you best to cover the brownies. I’ve been rocking the brookie game for quite some time now. 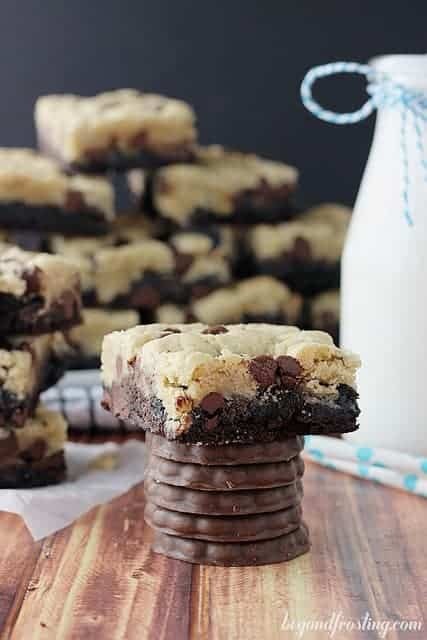 The best part is, you don’t have to choose between the brownie and the cookie! Plus, you can fill them with all your favorite candies and cookies. 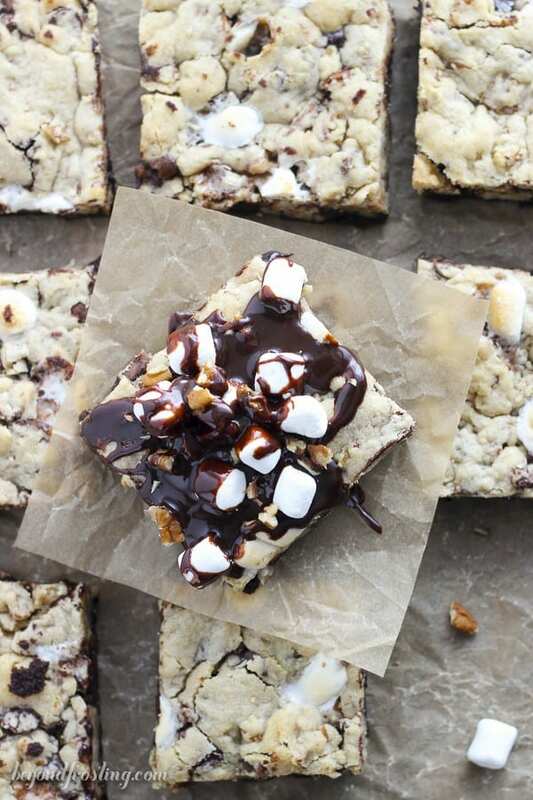 This recipe originally appeared on Chocolate Chocolate and More. Line a 9×13” pan with parchment paper or a baking mat. Pour the brownie batter over the baking mat and spread evenly. It looks so yummy. and amazing picture. I will try to make it for my love! Thank you Andrew! I hope you will try it! I’m speechless about these – and all that travel. I’d die! It has been quite a long month! These brookies helped to reduce my stress, that’s for sure! Well gee, that is so kind of you. Every layer is totally necessary! WOW! 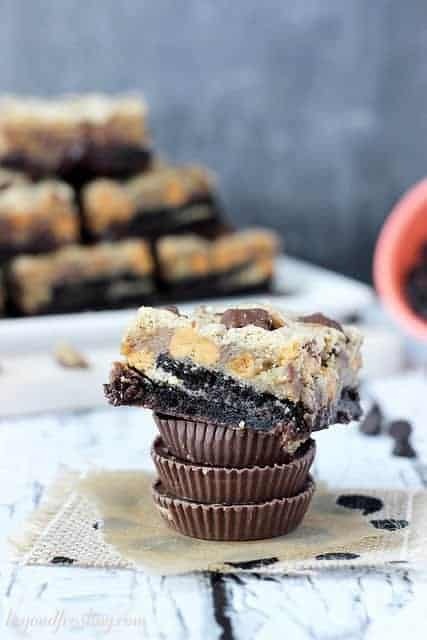 This has got to be the ultimate bar recipe! Can’t wait to try it! YES! I hope you will Anne!